As a designer, craft practitioner and researcher, and a regular visitor to Uganda, I have never failed to be impressed by the skill of Ugandan artisans. Handicraft techniques — particularly in basketry and mat-making — are highly developed and some innovative, contemporary, design-led studio crafts are now part of the vibrant Kampala art scene. Handicraft continues to be an important means of production of everyday and decorative items in Uganda, particularly in rural areas. One way or another craft makes a significant contribution to both the formal and informal economy. But Ugandan craft can go so much further. While there is a strong market for traditional Ugandan crafts amongst tourists, the craft export market is still relatively small. The capacity for Ugandan craftsmanship to be applied to contemporary design-led products for overseas markets is huge. However, international businesses wishing to work with Ugandan artisans face many challenges and need to understand more about the circumstances that may affect artisans’ ability to do business in the ways we are more accustomed to in Europe and the rest of the world. Ugandans wanting to sell crafts overseas also need to take on board the very different work culture they will encounter. To some extent expectations on both sides should be adjusted accordingly. Artisans. Photo by Kirsten Scott. However beautiful Ugandan craft products may be, it will be difficult for them to succeed in a global market unless certain conditions can be met. At the heart of this difficulty lies an insufficient understanding on both sides of the other’s worlds. are fundamental to successful participation in global trade, over and above the products themselves. In Uganda new craft ideas are quickly copied — and therefore devalued — so artisans need to stay ahead of the game. Products must be different, cheaper or of significantly better quality than those already on the market, and there is a need for ongoing design innovation and market knowledge. 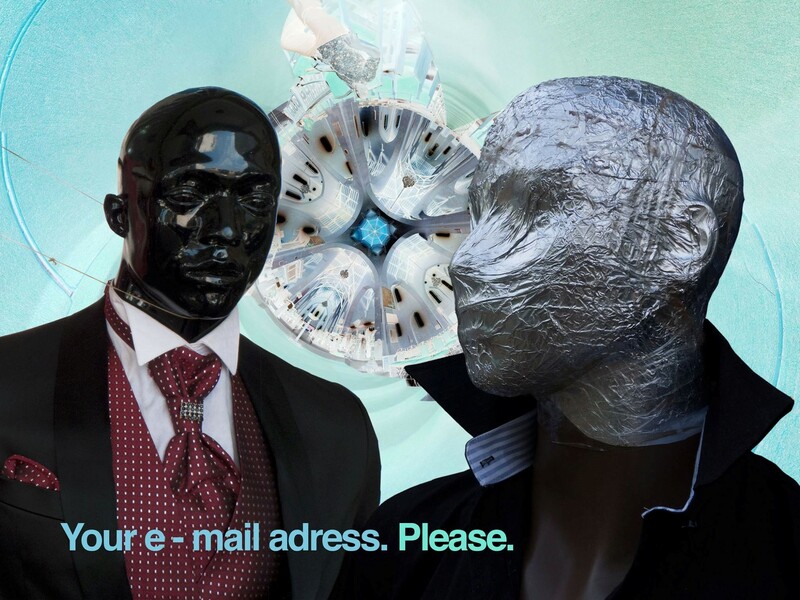 In a craft culture that has historically valued repetition of traditional techniques and designs, and where few have access to formal design training or information on fast-changing overseas trends, this is a challenge. 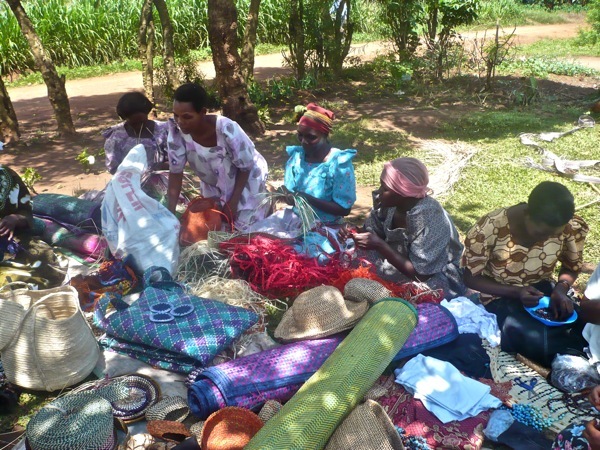 A number of visitors to Uganda decide to set up craft-related projects to support of artisans in income generation. Many of these projects quickly flounder for all sorts of reasons and there is a certain amount of justifiable cynicism amongst some artisans about do-gooding westerners. Some amateur designers, however well meaning, have little or no design experience and often advise artisans simply to re-produce things that are already on the market. They are unequipped to think ahead and innovate in order to help the artisans move designs forward, and so their products don’t sell. As a result artisans may be reluctant to fully commit to a craft project because too many others have been unsuccessful or short-term. Western visitors need to appreciate the responsibility that working with artisans places upon them and honour it by acknowledging their own limitations. Artisans at work. Photo by Kirsten Scott. Appointments and deadlines for craft orders may be unrealistic and fail to take account of the daily challenges faced by some artisans. To those of us from the UK, for example, where punctuality is culturally important, this can be problematic. Often the craftspeople are women who shoulder enormous responsibilities: planting, weeding, harvesting, cooking, collecting firewood and water, giving birth to and caring for many children and other dependents, managing regular bouts of malaria etc. They may not see the importance of a timely start to a meeting or an order deadline, because it is of less urgency to them in a given moment than taking advantage of rain-softened soil or tending to a sick child. But how much is the fluidity of deadlines in Uganda shaped by need, and how much is it a cultural acceptance of things happening when they happen? However understandable the reasons for late orders or missed meetings etc. may be, they are obstacles to developing a sustainable craft export business. 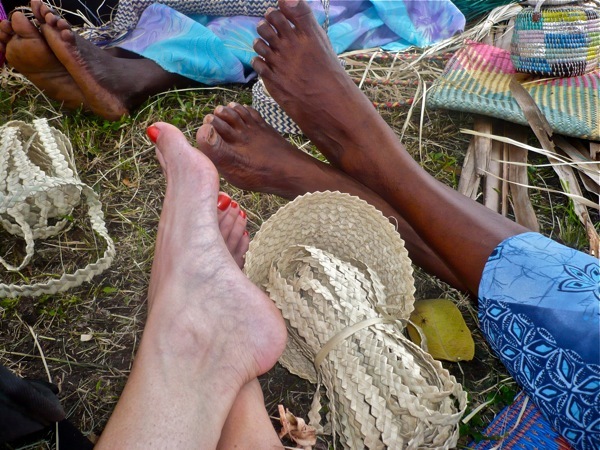 Communication between westerners and Ugandan artisans can be one of the biggest challenges. Most westerners speak little or none of the local languages and although some artisans speak good English there are cultural differences/nuances/habits in the ways that we express ourselves. It is essential that both sides understand that what they hear is not necessarily what is being said. I have found that showing what I mean (for example, a technique, colour or a style detail) is better than just saying what I want. But that doesn’t help me when I am back in the UK trying to place an order. Even if the artisans have a regular phone signal or internet access, communication is a challenge. In order to have a question answered it is helpful to include only one question per message. One cannot be clear enough. Artisans would do well to read and re-read messages and query anything they are not sure about. Misunderstandings can mean that artisans lose valuable time by making the wrong product for an order, and the purchaser will either be disappointed and/or out of pocket for something they neither asked for nor wanted, or will refuse to pay. This causes disillusionment on both sides. It is helpful to have a project manager on the ground that is used to dealing with overseas partners and understands what is required. To ensure the sustainability of a craft project, orders must be met accurately and be of consistent quality. Errors in orders mean that customers are lost. An understanding of how some quality issues arise may help to prevent them. Westerners and artisans may need to understand how poverty can affect quality and find solutions where possible. For example, if dyes bought in the market turn out to be a different colour from that indicated on their wrapping, artisans may be unable to afford the expense of another packet. But if an investment is made in larger quantities of dye at the start, then that particular problem is eliminated. Living conditions can result in craft items being nibbled by pests but still offered for sale because of an artisan’s need. Investment in a metal container for the crafts that shuts securely will minimise this. Domestic commitments may mean that artisans have insufficient time to practise and perfect their skills; this is a difficult one. It is important not to demand too much too quickly. Those from overseas who want to work with Ugandan artisans in this way need to show the commitment to be in it for the long haul and to plan longer deadlines. This is a challenge to the short term-ism of western business culture, but circumstances should rapidly improve for artisans as a project grows. With a national focus on more conventional forms of educational training, craft has been devalued in Uganda as an activity performed by the less educated and particularly by women. More value needs to be placed on craft: including formal vocational training and support for craft groups to help them to share their knowledge with a younger generation, to find new markets, and to develop new designs. Better stewardship of natural resources is needed to ensure that craft materials such as palm leaves and bark cloth are protected for future generations. In some districts there has been a shortage of palm leaves due to trees — whose leaves have been sustainably harvested for centuries — being cut down and their trunks sold as fence posts. This is short-term thinking — where the selfishness of one or two people is affecting the livelihood of many others. Penalties should be firmly imposed on those who destroy important natural resources in this way. Ugandan craftspeople can offer unique, hand-made goods to a world that is increasingly looking for alternatives to uniform, mass-produced goods. Handicraft is both an art form and an environmentally sustainable manufacturing method that should be appreciated, valued and fostered. A Ugandan Crafts Council is needed to encourage and highlight the best in Ugandan craft, showcasing good practice by exhibiting inspirational work to a new generation and building the profile of Ugandan craft on the international arts stage. More training is needed for artisans on how to promote their work and how to conduct business with overseas partners etc. In turn, overseas partners need to have as flexible approach as possible, to develop products that tolerate and even celebrate a certain amount of inconsistency and to make a long-term commitment to working with artisan groups in Uganda in a meaningful way. Dr Kirsten Scott works in research, education and accessory design, and has been involved in a craft development project she set up in Uganda for the last seven years. I would like to begin a dialogue with those involved in craft projects, on both sides, to uncover as many of the issues as possible in order to find ways to resolve them and welcome any discussion about this.